Picture yourself in a Caribbean villa, basking in the sun, reading that book you've been meaning to get to, sipping cocktails at sunset on your veranda or around your private pool, and enjoying excellent home-cooked meals prepared by your own chef ... it's all possible and just waiting for you in a fabulous villa in Jamaica. Set your own schedule and begin to relax the moment you walk through the doors of your home away from home! in the sun-soaked tropical paradise we call home. 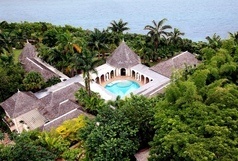 Villas in Jamaica can be found in a variety of locations; beach front, hillside, seaside, cliff-side - whether your choice is a charming thatched-roof cottage on a gleaming white sand beach, a luxury villa estate overlooking the Caribbean Sea, or a private condo offering a host of resort amenities - there is no finer choice than Jamaica for a villa vacation. There are villas of all sizes and price ranges so that everyone has the option of enjoying this wonderful way of traveling in Jamaica! 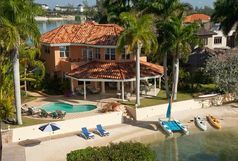 When you are looking for a romantic getaway for two, a family reunion, or that special location for your next business retreat, we can help you find the perfect Jamaica vacation rental villa. We have over 35 years of experience planning villa vacations in Jamaica and the knowledge and support services to ensure your satisfaction. We wrote the book on villa vacations in Jamaica! 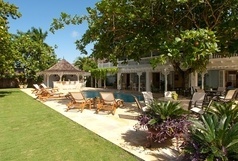 We look forward to helping you plan your ideal villa vacation in Jamaica!